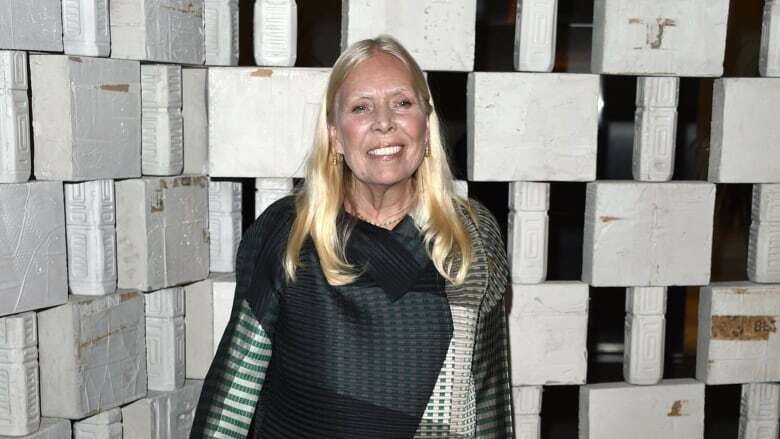 In a statement posted to her website Sunday, Joni Mitchell's friend and conservator says it was an aneurysm that sent the folk singer to the hospital in March. Joni Mitchell's friend and conservator says it was an aneurysm that sent the folk singer to the hospital in March. Conservator Leslie Morris acknowledged the aneurysm in a statement posted on Mitchell's website on Sunday, providing the first significant details on Mitchell's health status in the months since an ambulance was sent to her Los Angeles house to take her to the hospital. Morris says Mitchell is speaking — and speaking well — while recovering at home. She's unable to walk, but is expected to soon and make a full recovery. "She is resting comfortably in her own home and she's getting better each day," the statement reads. David Crosby, who helped bring Mitchell to the attention of artists and producers in Los Angeles in the 1960s, had told Huffington Post last week that Mitchell had suffered an aneurysm and that "to my knowledge she is not speaking yet." Morris was appointed Mitchell's conservator in May when a judge decided Mitchell couldn't make health care decisions for herself and had no relatives who could serve as conservator. Mitchell is a rock Hall-of-Famer who has won eight Grammies.